Skype for Business, Microsoft Teams, Office 365, Windows and Azure ramblings. Not too long ago, I remember making the announcement at our user group that come October 31st, TLS 1.0 would no longer work in Office 365. “That’s ages away Craig!” was the cry from the audience. Well, in just under a months time, it’ll be upon us. The question is, are you ready? 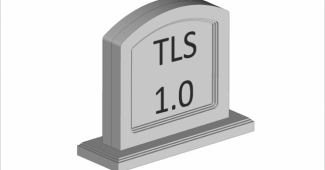 What’s the deal with TLS 1.0 anyway? 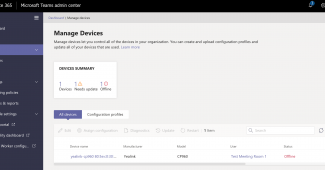 Transport Layer Security version 1.0 is being removed as a supported secure protocol for connecting to Office 365. It’s being replaced with a new minimum requirement of at least TLS 1.2. If you’re running any of the following, you’re affected by this mandatory change. Lync Phone Edition. There is further guidance provided for these devices is located here. I’ve got devices or OS’s on that list, what can I do? In short, disable, upgrade or replace. If you’re running older versions of Internet explorer, firefox, safari, or an older Lync client on your desktops or mobile devices you’re going to need to update them to newer supported versions. If you happen to have a deployment of Lync Phone Edition (LPE) handsets, you’re going to need to replace these with newer, supported devices. The main reason for this change is that these devices run a version of Windows CE that does not support TLS 1.2. Is the 31st October 2018 a hard deadline? Microsoft has said that come the 31st of October, devices that do not support TLS 1.2 may experience issues connecting to Office 365 and that no support tickets will be generated for devices that do not support TLS 1.2. This does NOT mean that the 1st of September, your TLS 1.0 devices will spontaneously combust, and they may continue to work for a while afterwards. TLS 1.0 will be decommissioned from Office 365 though, and so they will stop working at some point. 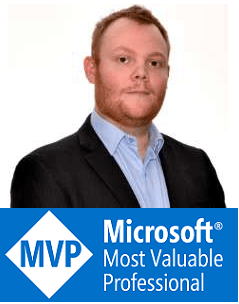 Craig Chiffers is a Microsoft MVP who’s passionate about helping others transform their way of working with Microsoft Teams and is an organiser of the Sydney UC Meetup group. What is CloudPBX and CCE? Copyright © 2019 Blog - Chiffers.com. All Rights Reserved.